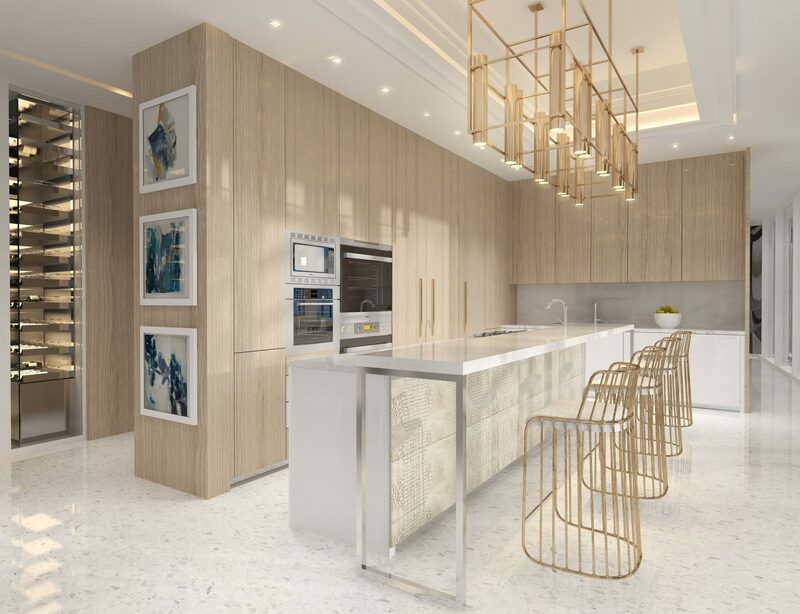 A stunning new development of luxury condominium residences is under construction along Sunny Isles Beach. The Ritz Carlton-Residences will blend state-of-the-art amenities with more than two acres of tropical landscape and private beach. We are excited to be entrusted with the interior design of our new client’s penthouse residence—his second home. At just over 7300 square feet, the space will boast expansive windows and magnificent views. His special requests? 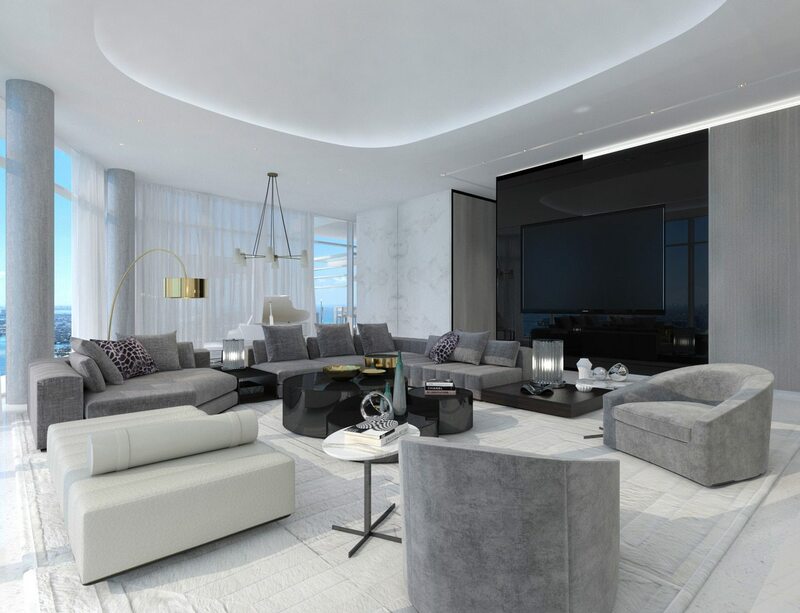 LED lighting throughout the home and a media room dedicated to his passion for cinema. The penthouse is expected to be completed in mid-2018. Our team has designed the master bedroom suite, two guest bedrooms, four bathrooms, a powder room, a media room, and we have converted the third bedroom into a study. We have also designed a dining room and modified the designer-ready kitchen. 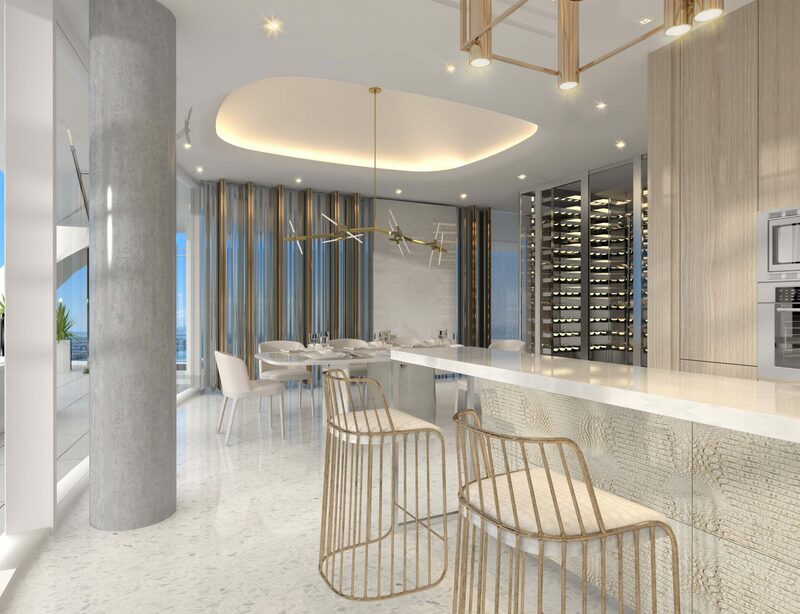 The residence will also feature a wine room and a gym. From the millwork and mechanicals to the built-ins, custom soffits, furniture, and fixtures, our team is creating an extraordinary home for our client. 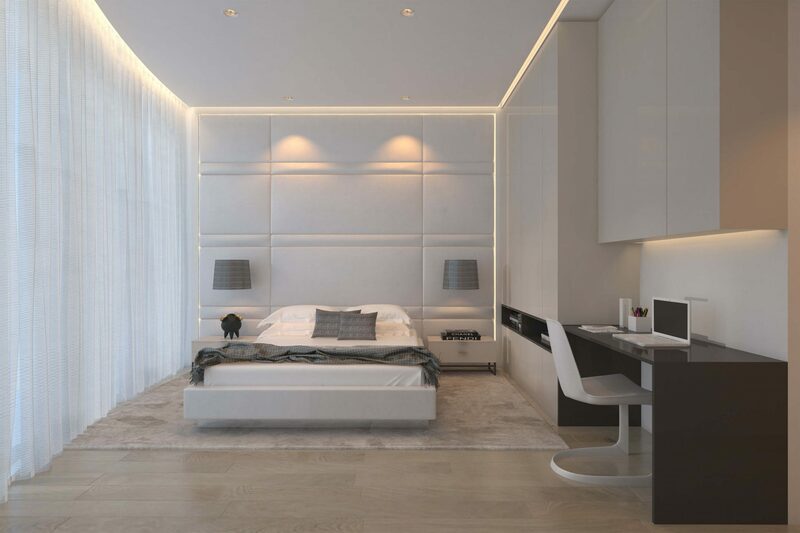 Every bedroom will be fitted with custom headboards and built-ins. 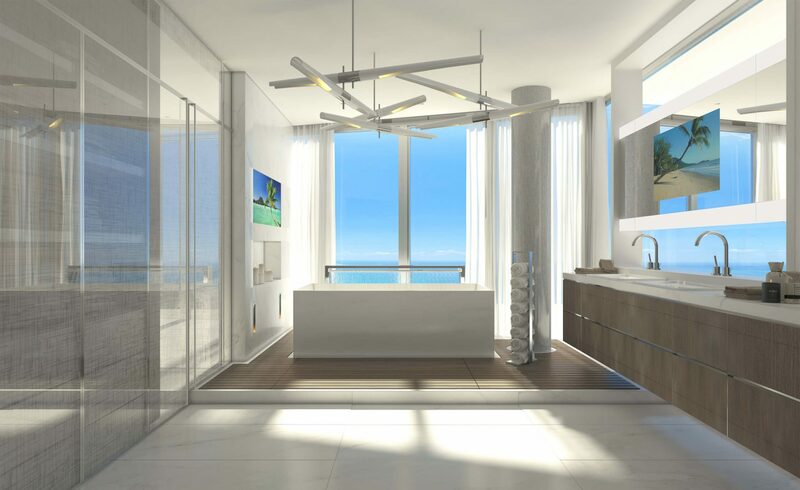 The master bedroom suite will feature LED lighting under the bed’s platform to echo LED lighting we’ve embedded in the residence’s millwork. The media room will be located adjacent to the study and will feature a custom bar with icemaker and refrigerator. But the biggest wow-factor? The largest state-of-the-art TV screen available. 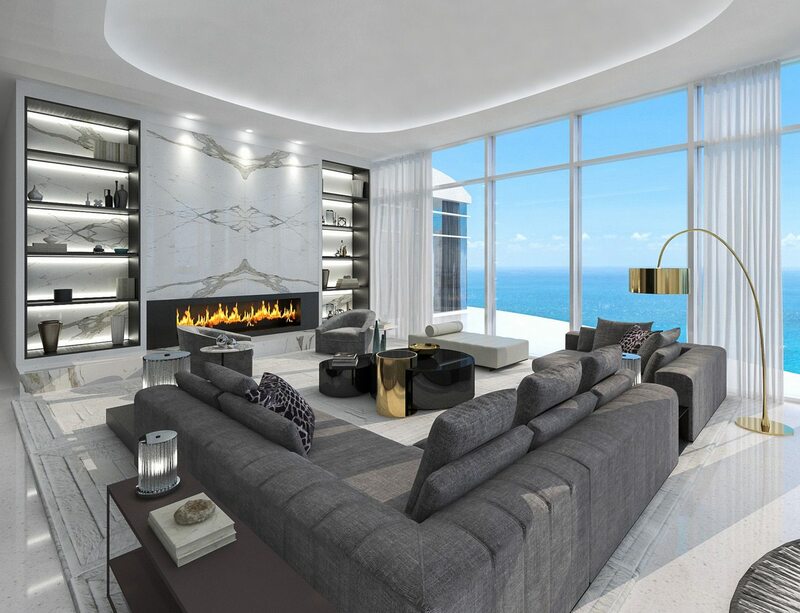 The residence will also boast a custom self-playing piano, a gorgeous Italian light fixture in the powder room, a roomy soaking tub, and many other special touches, including exceptional views from every room. Oh, the views! Please check back often to see our progress. We can’t wait to show you more, including the stunning Italian light fixture we have planned for the powder room.